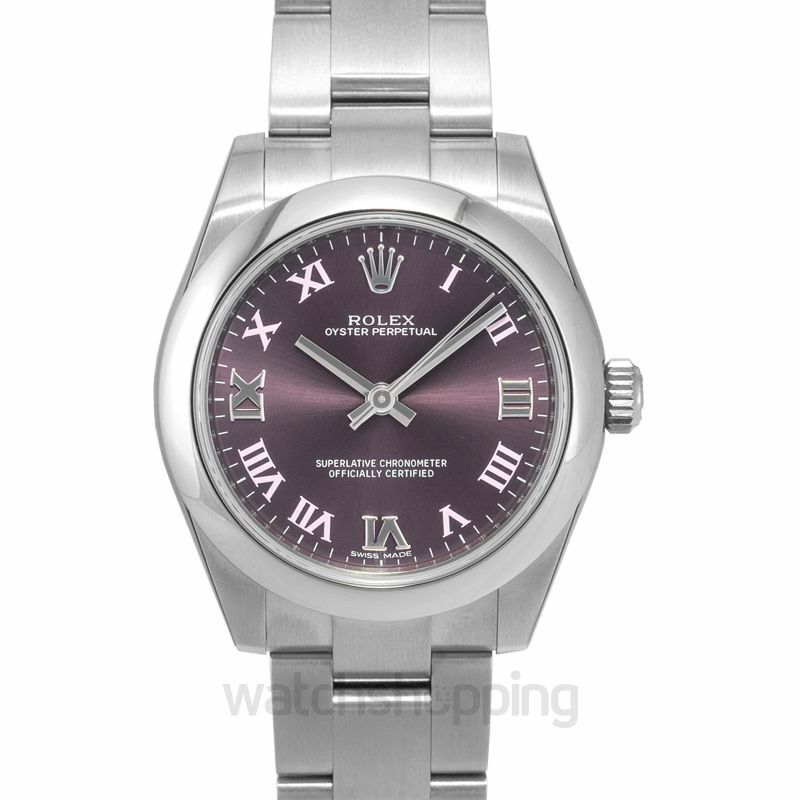 The Oyster Perpetual is essentially the purest distillation of the innovation Rolex has soared to achieve. 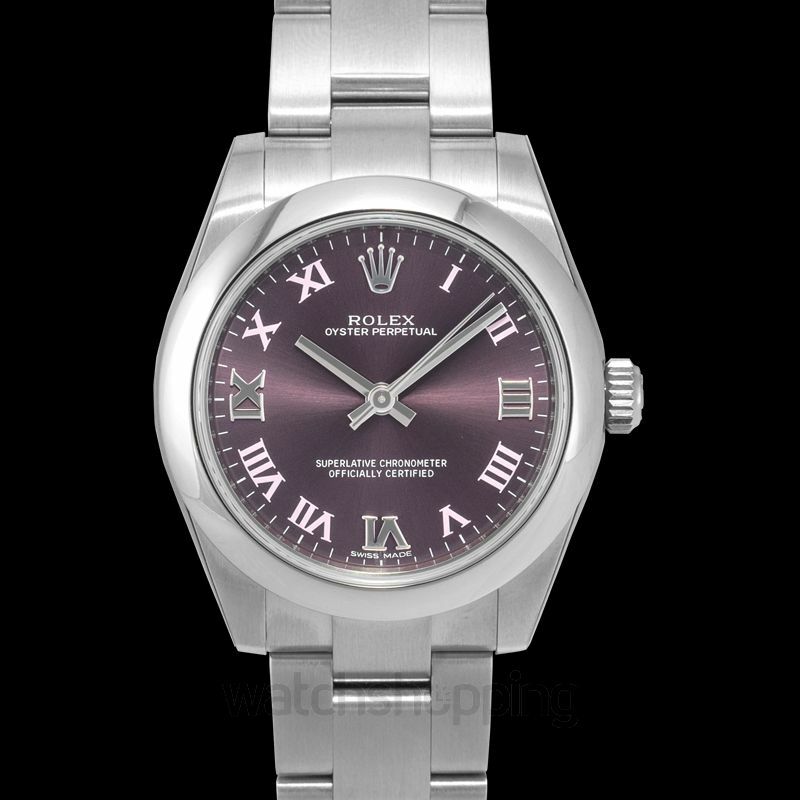 It is the epitome of the Swiss made watches, and the realization of flawless engineering. 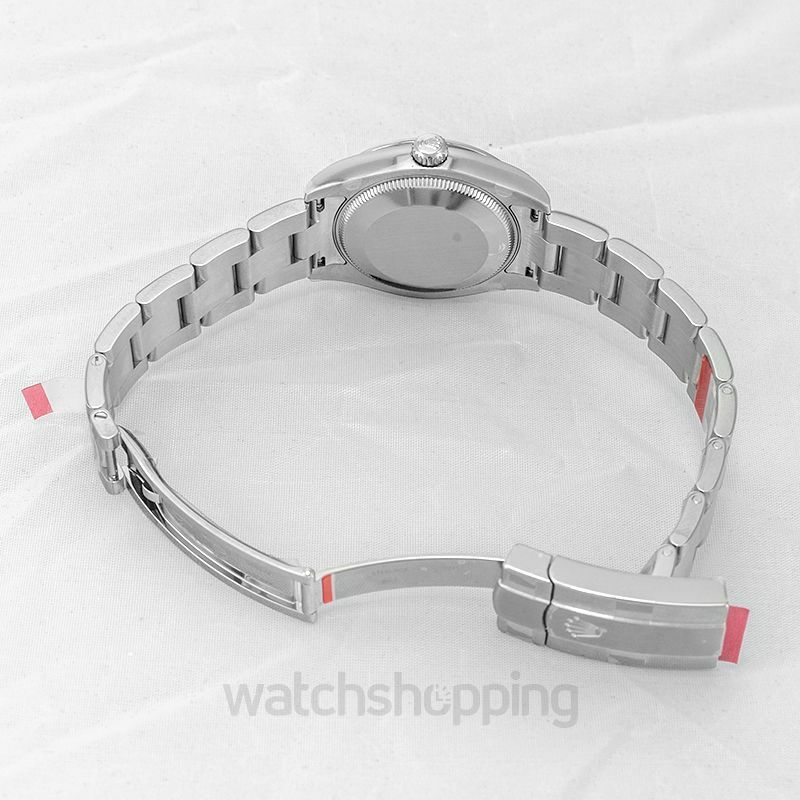 This watch is a mid-sized watch suitable on smaller to medium wrists. 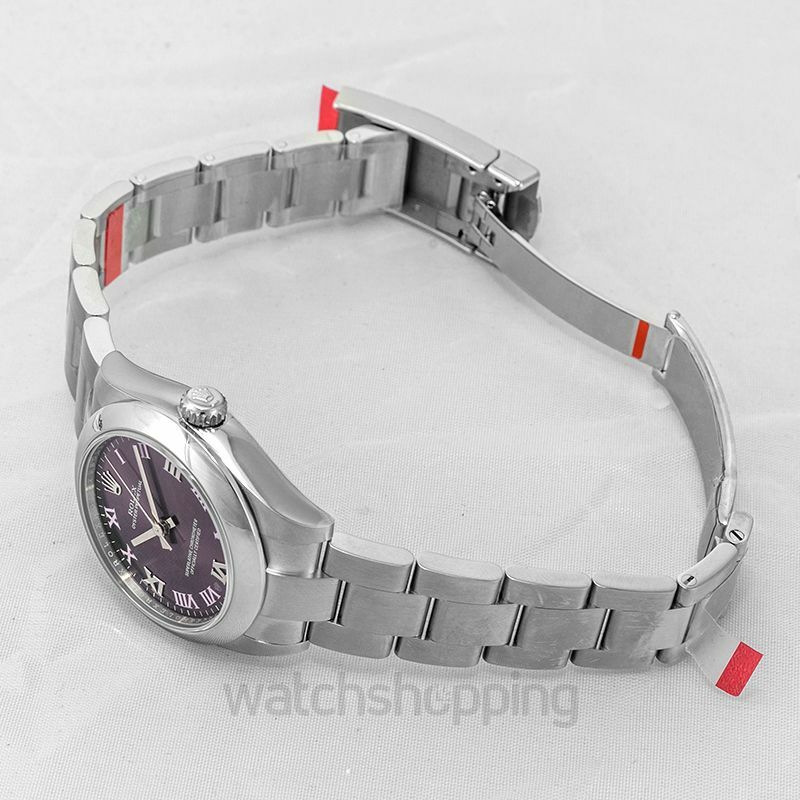 The watch has a purple dial which draws a lot of attention and makes this watch the center of attention and is beautifully housed inside the polished silver stainless-steel.